Two types of blood pressure medications — alpha blockers and alpha 2 agonist — show increased variability in blood pressure measurements between doctor visits, which is associated with an increased risk of death, according to new research from the Intermountain Medical Center Heart Institute in Salt Lake City. 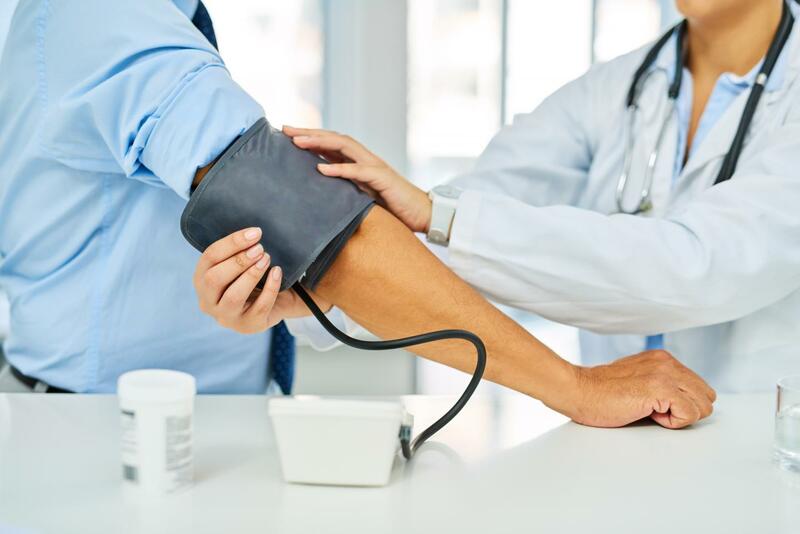 As a result of the study findings, researchers are encouraging physicians encouraged to use other classes of blood pressure medications that show a decrease in mortality risk. "This study helped us identify blood pressure medications that produce more consistent blood pressure and better mortality outcome data," said Brian Clements, DO, an internal medicine physician with the Intermountain Medical Center Heart Institute and lead author of the study. "Those medications include ace inhibitors, angiotensin receptor blockers, calcium channel blockers, and thiazide diuretics. People who are on other types of blood pressure medications have an increased risk of death." Results of the study will be presented at the 2018 American College of Cardiology Scientific Session in Orlando on March 12, at 9:45 a.m., ET. The systolic blood pressure reading (the upper number) indicates how much pressure blood is exerting against the artery walls when the heart beats. According to the American Heart Association, normal blood pressure is less than 120/80. Elevated blood pressure is between 120-129/80, and anything over 130/80 is categorized as stage one and two high blood pressure. Prior research has shown that patients with large variances in blood pressure between doctor visits are at an increased risk of death. The Intermountain Medical Center Heart Institute researchers looked for connections between the type of blood pressure medication a patient was using and the variations in blood pressure readings to see if certain classes of medications reduced the visit-to-visit blood pressure variability. More than 10,500 patients with at least seven recorded blood pressure medications between January 2007 and December 2011 were followed for five years — through June 2016. Researchers tracked the range of variances in blood pressure measurements and the class of blood pressure medication each patient was using. "Patients should know what their blood pressure is, and if it's up and down all the time, the patient should work with their physician to explore options for the best blood pressure medications that will reduce variances," added Dr. Clements. "Where possible, the two types of medications that show an increase in variances should be avoided." Researchers say the next steps are to look at other medications that are proven to reduce the variability in blood pressure measurements and better evaluate methods for taking evidence-based blood pressure measurements. In most people, systolic blood pressure rises steadily with age due to increased stiffness of large arteries, long-term build-up of plaque, and increased incidence of cardiac and vascular disease, according to the American Heart Association. "Hypertension affects many people — roughly one in three adults in America, according to the American Heart Association," said Dr. Clements. "But because of the variables that affect blood pressure measurements, finding ways to more accurately measure blood pressure can better identify effective treatments for patients who have hypertension." Dr. Clements also recommends that people control their environment when measuring their blood pressure to help reduce additional variables from influencing the measurement. Sit or lay down for 15 minutes prior to taking your blood pressure. Don't do things that will cause you stress, since that may raise your blood pressure. Use a blood pressure cuff that fits. Make sure it's not too tight or too large. Members of the Intermountain Medical Center Heart Institute team involved in the study include: Nathan Allred, MD; Erik Riessen, MD; Benjamin Horne, PhD; Raymond O. McCubrey, MS; Heidi May, PhD; and Brent Muhlestein, MD. The Intermountain Medical Center Heart Institute, which is part of the Intermountain Healthcare system based in Salt Lake City, is one of the premier cardiovascular centers in the country.